It has been a long time coming (the beta testing started last May) - but at last WiFiRanger has unleashed their newest firmware update upon the world. This new release, dubbed "Phantom 7.0", is hugely ambitious - and it is packed full of some fabulously powerful features. A lot of the features are directly inspired by feedback from the RVers who have been in the beta group - we are especially thrilled to see a lot of the suggestions we made when we visited WiFiRanger's offices in August at last come to life. Our WiFiRanger is connected simultaneously via a USB tethered Verizon hotspot, and an AT&T iPhone generating a Personal WiFi hotspot - with our usage load balanced across both connections. Cool! Multi-WAN: One of the most powerful new WiFiRanger features is known as "Multi-WAN" - which allows the WiFiRanger to connect to multiple network sources at one time. 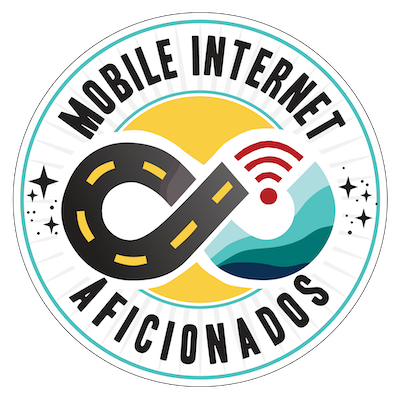 You can then choose to be in "Hot Standby" mode which means that your connection will instantly switch to the backup if the primary fails, or "Load Balance" which divides your traffic over both connections, or "Dynamic" which lets you set up a primary connection for the bulk of your usage, with a secondary connection used only when extra speed is called for. 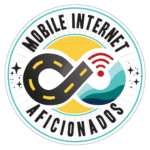 Multi-WAN enables a lot of complex possible configurations - but for those of us with multiple network providers this is a great way to get the most out of all of our connections, splitting usage between campground WiFi and multiple cellular modems. The WiFiRanger mobile UI is very basic, but easy to use with just your thumbs. If you need the advanced features, you can always switch back to the full control panel. Mobile User Interface: One thing that always annoyed me using the WiFiRanger control panel in the past was just how hard it was to use via a smartphone - the buttons for various networks were just too hard to accurately click on to select what you wanted to connect to. Phantom adds a mobile-optimized UX that is automatically used on phone screens - making this so much easier! 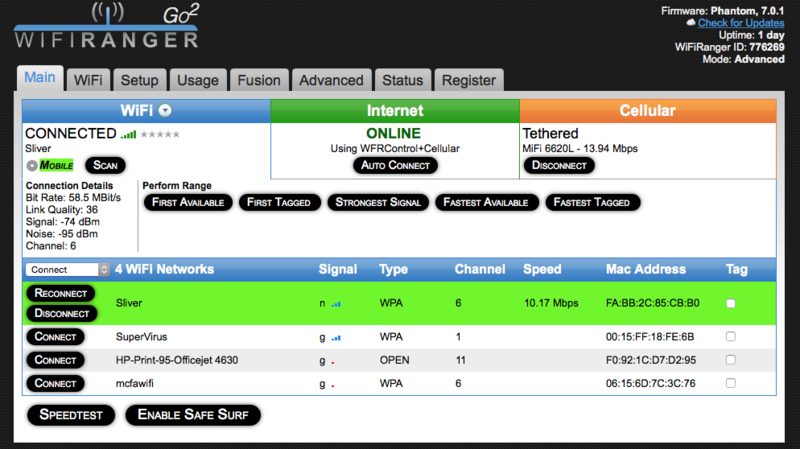 Safe Surf: Another very powerful new WiFiRanger feature is "Safe Surf", which when enabled creates a private VPN connection between your WiFiRanger router and WiFiRanger's data center in Boise. 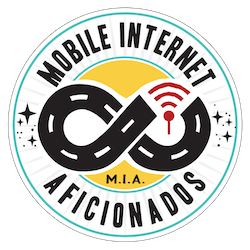 All your devices are then connected to the Internet as if you were plugged directly into WiFiRanger's backbone - bypassing any prying eyes on any local WiFi network you are connected to. This is a great security feature - but it does introduce some speed impact. For example, in my latest testing I saw speeds of 8.4Mbps down / 4.2Mbps up with Safe Surf on, and 13.7Mbps down / 7.3Mbps up with it off. Safe Surf is initially being offered for free, but WiFiRanger has told us that they may eventually need to work out subscription pricing (similar to other commercial VPN services) for those who want to make heavy use of this feature. 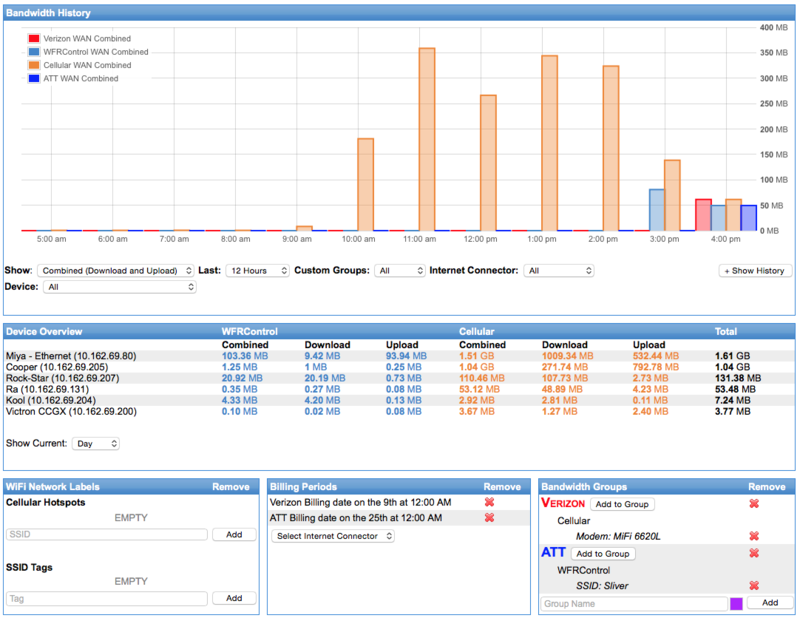 Usage Tracking & Usage Restrictions: A huge amount of work went into creating a very powerful usage tracking control panel, perfect to give you better idea what devices on your network are using data. You can even define groups and date ranges to be able to automatically track usage by carrier and billing period too. The UI is still a bit awkward and overwhelming, but the usage tracking potential WiFiRanger offers is exceedingly powerful. 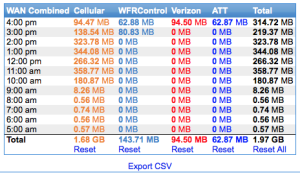 WiFiRanger doesn't just have tools for monitoring usage, but a "Device Restrictions" wizard lets you set up rules for what devices are allowed to use data when. For example - you could block an X-Box from using cellular data to keep a random game update from blowing through your entire monthly data bucket, or perhaps give your Roku a 1GB/week allowance to keep your video streaming from getting out of control. Logging your usage will make it a lot easier to make sure that your carriers are giving you everything you are paying for. Advanced Features: There are a lot of other big and little features tucked into this release. A few other highlights include UPNP support (makes 'Back To My Mac' and other network-dependent apps more reliable), and private conduits - which let you connect to devices on your network from the outside internet - perfect for things like monitoring a remote pet camera while you are out. Easy "Hot Fixes": WiFiRanger says they put a lot of effort into this firmware update to make future small bug fix releases a LOT easier to get out to the public - hopefully never again requiring such a long wait between major updates. Though there are still some rough edges in the "final" version of the 7.0.1 firmware, this easier upgrade process should allow these rough edges and lingering bugs to be polished as the issues are uncovered. The Phantom firmware is a free update - and supports ALL WiFiRanger products, even the original and long-discontinued WiFiRanger Home and Pro. It is exceedingly impressive to see a company continuing to offer support, software updates, and major new features to products that have been off the market for so long. WiFiRanger has just opened up their servers to start providing the update, but it might take a few days before your WiFiRanger control panel prompts you that a software update is available. If you want to force your WiFiRanger to check for updates now, you can do so by clicking the "Check for Updates" button in the top right. Once you click "Upgrade" it will take about 5-10 minutes for the new firmware to download and install, depending on how fast your network connection is. Tip for Upgrading: If you have a dual-Ranger setup (with an inside router like a Go2, and an outside CPE like a MobileTi) make sure that they are both powered on and paired with each other before your click the "Upgrade" button to make sure that the routers upgrade in unison. For some more information (including a video preview) - WiFiRanger has just posted a webpage going over some of the key features of the firmware. We have begun working on a members-only guide full of tips and tricks for taking advantage of the WiFiRanger's features, which will be published in our Resource Center soon. In the meantime - WiFiRanger has posted the release notes for Phantom 7.0.1 here. 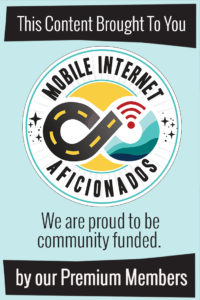 If you're not already a Mobile Internet Aficionado member, now is a great time to join. 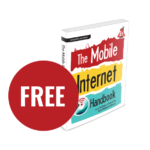 We're still offering our introductory prices until we release the 2015 Edition of The Mobile Internet Handbook in a couple weeks. 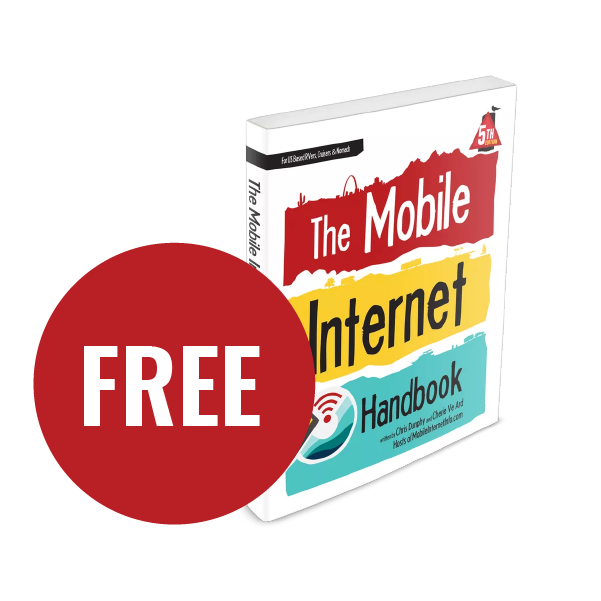 Our MIA members will be getting the book update in PDF format for free, on top of all the other great benefits of in-depth reviews & guides (a review of WiFiRanger's closest competitor - the WaveWiFi Rogue Wave - just went up over the weekend. ), Q&A forums, webinars and alert newsletters.